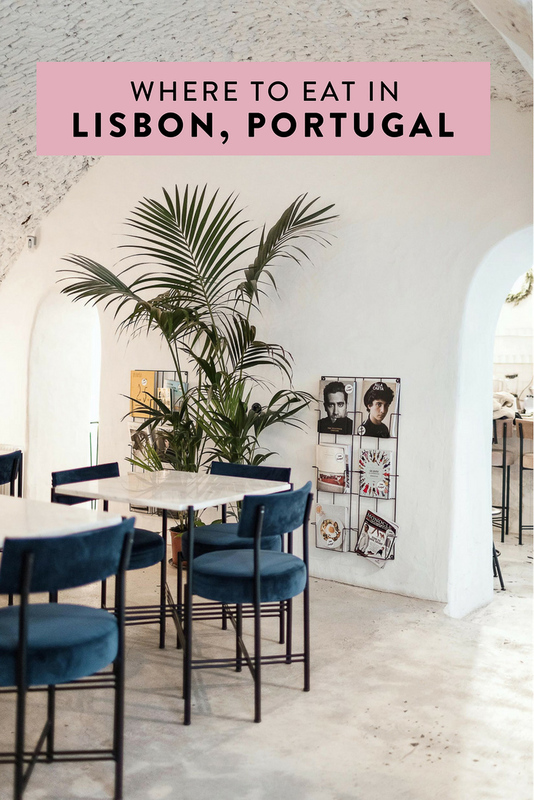 Hopefully by now you have read my post on the best coffee shops in Lisbon and you are back to find out where to eat and find the best Lisbon food! 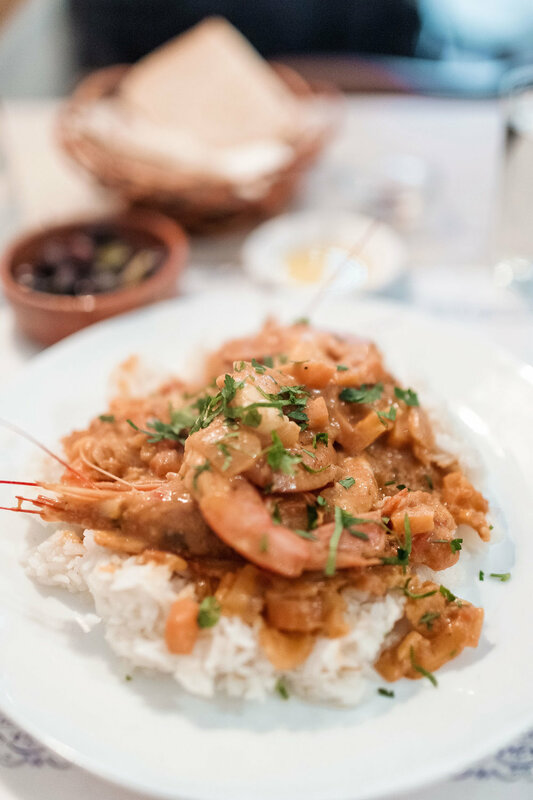 Lisbon has seemingly endless restaurant options, often featuring fresh seafood, Portuguese cuisine, and excellent local wine. Food-wise it is one of my favorite cities in the world. Taberna da Rua das Flores was recommended to me by a coworker before my first trip to Lisbon in 2014 and it turned out to be the highlight of my month long Europe trip. I have since then recommended it to every person I know visiting Lisbon, all of whom have raved about it. I went back for round two last week just to make sure it was still to die for, and, good news, it is! Taberna da Rua das Flores is a total hole in the wall and you would never give it a second glance while walking by. Once inside, the ambiance is nothing to write home about, reminiscent of an old, dark tavern. But what they lack in decor they certainly make up for in taste! They serve Portuguese Lisbon food and everyday the menu is different. Once you are seated a waiter comes over to review the options with you off a chalk board. It’s one of those places where each item seems a little off, like not everything in the dish belongs together. One bite of your meal will change your mind about that, though! The only unfortunate thing about Taberna da Rua das Flores is that the secret is apparently out. There is not a ton of seating so you have to get here extremely early in order to avoid a huge wait time. If you don’t want to spend potentially hours waiting, it would be best to get a little before opening (yes, really). Also, they do not accept cards, so bring cash! 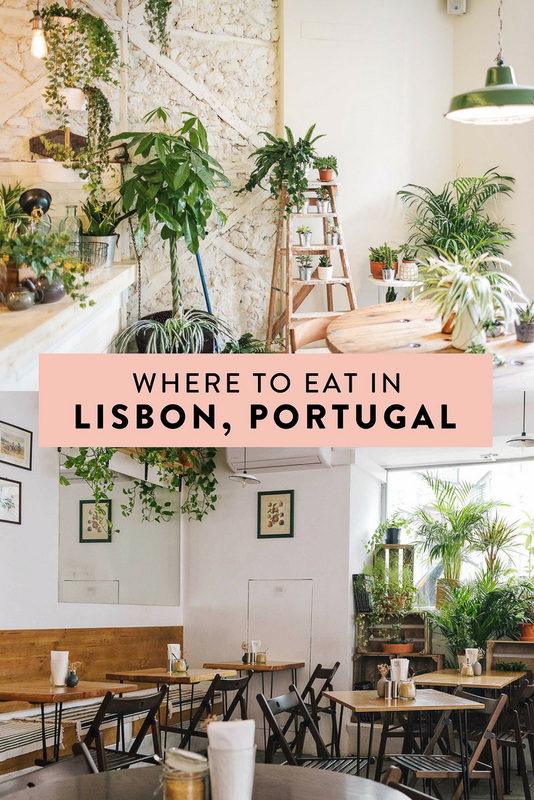 You can’t come to Portugal without trying Portuguese food, of course, and Taberna da Rua das Flores is my vote on where to do it :) Don’t miss it. 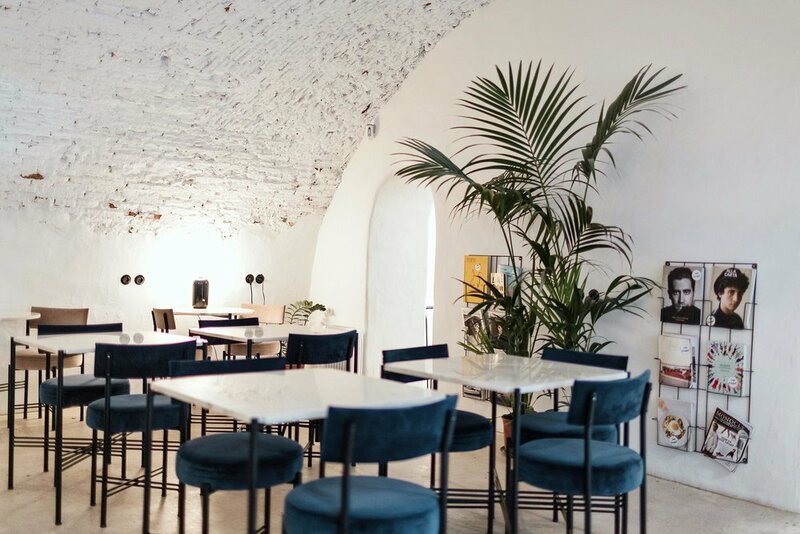 Dear Breakfast offers all day breakfast and is my favorite new Lisboa finding! I loved it so much that I went multiple times. The owner opened Dear Breakfast because he , like myself and many others, loved the idea of having brunch any day of the week. 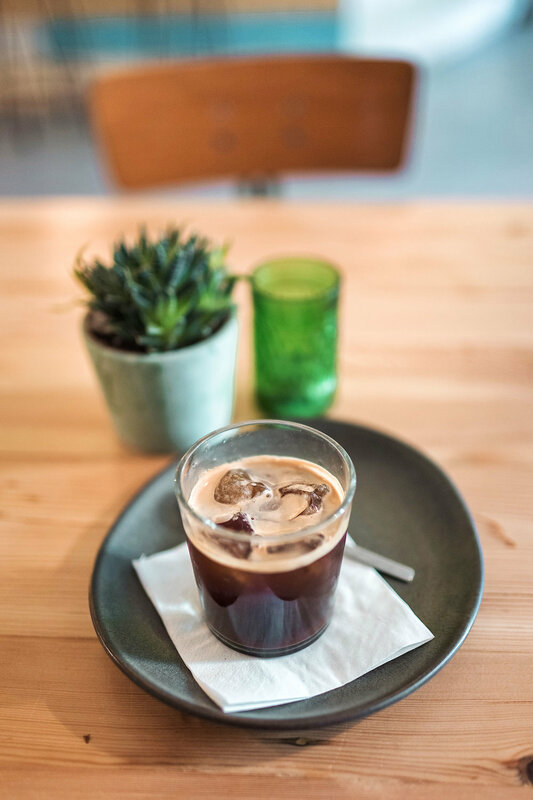 The menu features egg-centric dishes, delicious coffee (including iced coffee which can be hard to hunt down in most European cities), tea, and fresh juices and smoothies. If you are looking for a healthy and incredibly tasty meal, this is the spot. Equally as appealing as the amazing menu is the venue itself. It features a clean and bright design with exposed, all-white brick walls, marble tables, and blue and blush colored seating. Against the wall is a selection of magazines and a few plants to add some greenery to the room. That whole place is an Instagrammer’s dream, really. Fauna & Flora is another spot high on my list because it is so many of my favorite things. 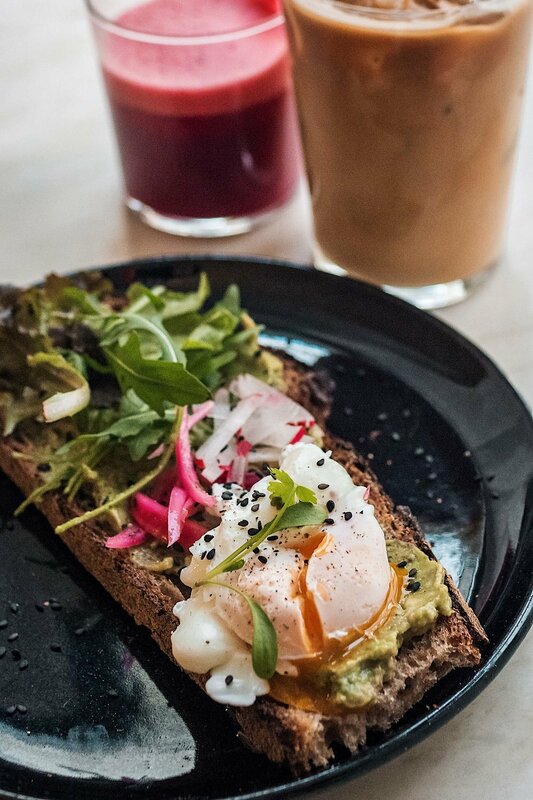 For one, they serve all day brunch, specialty coffee and fresh juices. Not just any old food, but seasonal, healthy, and freshly homemade food. They also have a cocktail bar in case you want something special later in the day (or in the morning, no judgement)! Those that know me know I live for indoor places that make you feel outdoors, and this spot is beautifully covered in plants. It’s bright and airy and a wonderful place to enjoy a meal or even just a drink. 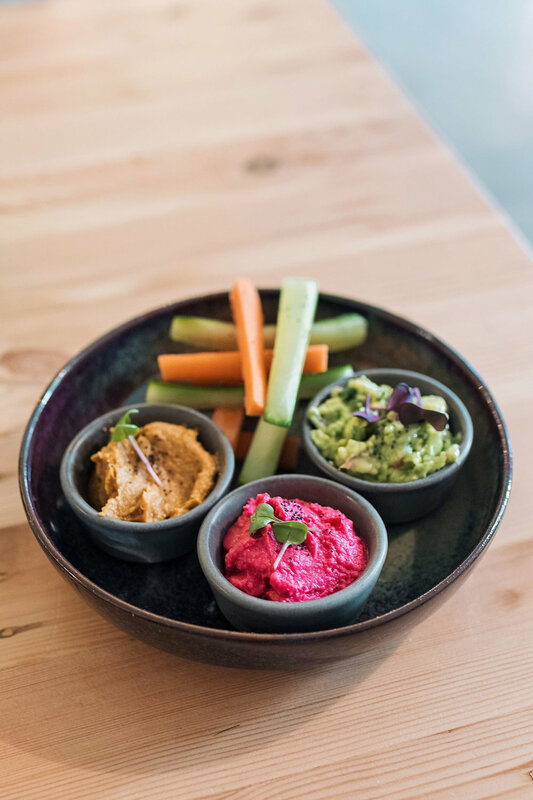 On the menu you will find a handful of different smoothie and granola bowl options, a variety of toasts like everyone’s favorite avo toast, some different snack options, and more. I especially like that they have a healthy snack selection because rarely do I come across a place offering this in any country. I ordered the veggie fingers which comes with a variety of dips (guac, hummus, etc.) and it was perfect. Sure beats a pastry when you need a quick bite to go with your mid-afternoon coffee! 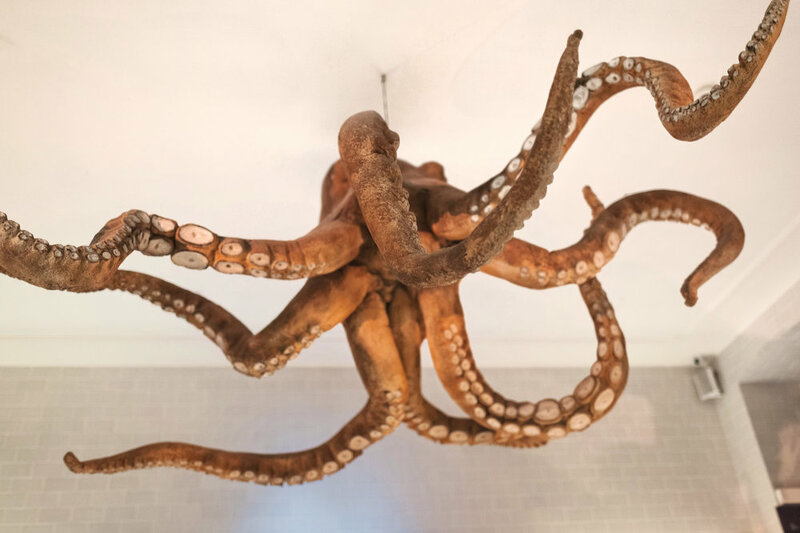 A Cevicheria is a Peruvian restaurant by famous local chef, Chef Kiko. Here he combines traditional Peruvian specialities, such as ceviche and pisco sour, with local Portuguese flavors as well as Asian and tropical. 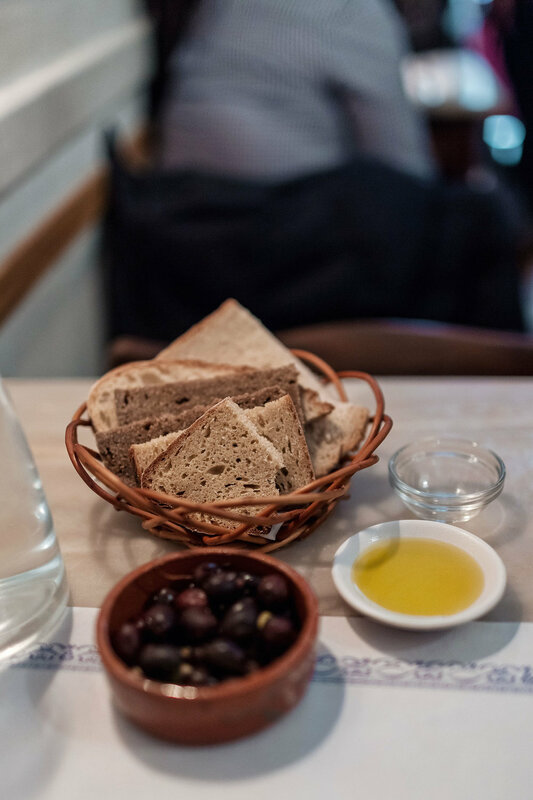 It is amazingly delicious and a spot you should not miss while visiting Lisbon! In fact, eating here convinced me to then set out to hunt down as many Chef Kiko restaurants as I could :) Order at least one ceviche, causa, pisco sour, and glass of local wine. Also by famous local chef, Chef Kiko, O Asiático offers asian tapas. It is, at no surprise to anyone who has first visited A Cevicheria, unreal. The latest by Chef Kiko (can you tell I like his food?!). This one features healthy, clean food which is music to my ears! Everything is made without butter, sugar, lard, and is not fried. 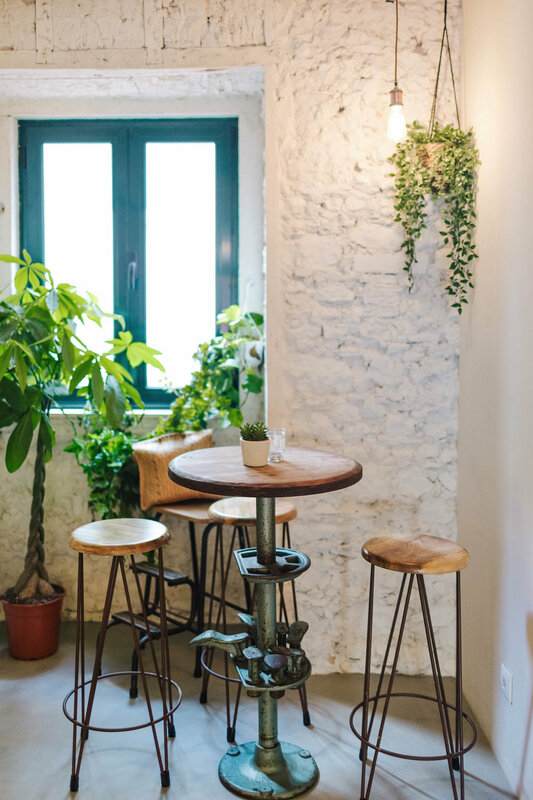 Heim is yet another cafe in the city offering all day brunch, fresh juices, good coffee, and a space covered in greenery. 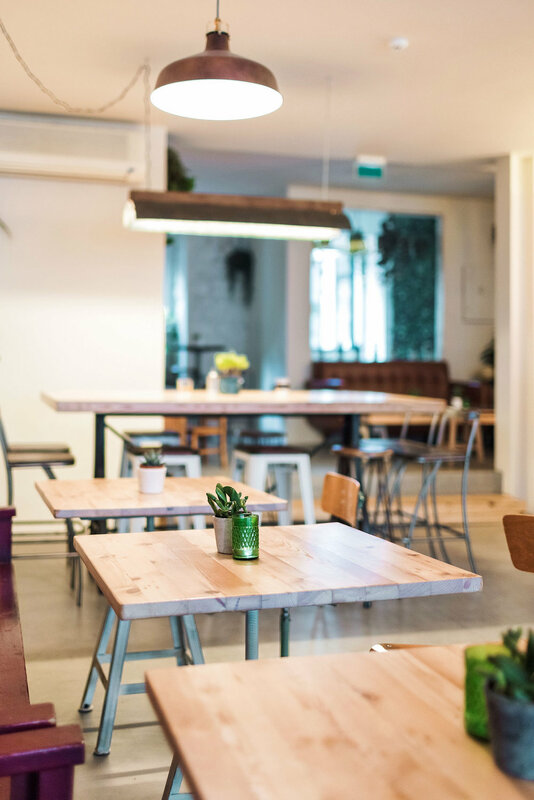 If you’ve already checked out Dear Breakfast and Fauna & Flora, give Heim a visit. I follow them on Insta and see a lot of their stories showing the line is quite long, so it might be best to head here earlier rather than later. 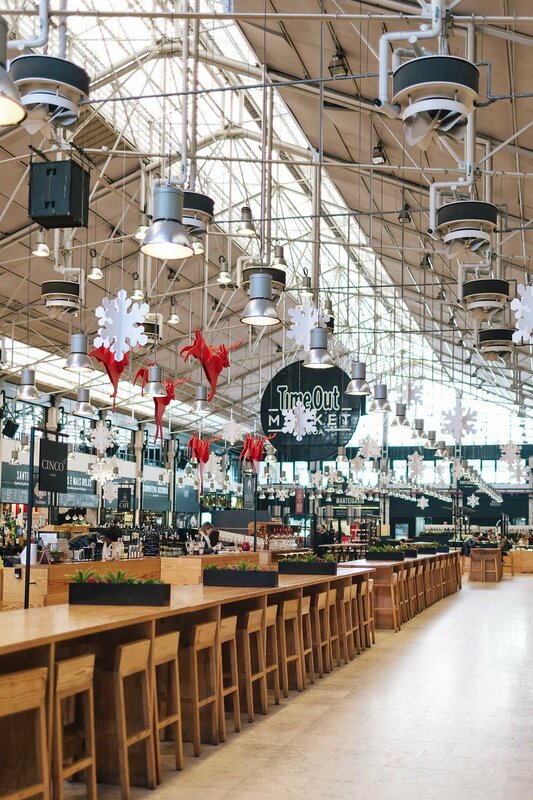 Time Out Market is a food hall and market and is yet another can’t miss spot! The media company runs it by one simple rule: if it’s good it goes in the magazine, and if it’s great it goes on to the market. It features the best chefs and dishes in town and is a great way to try a variety of different things under one roof! 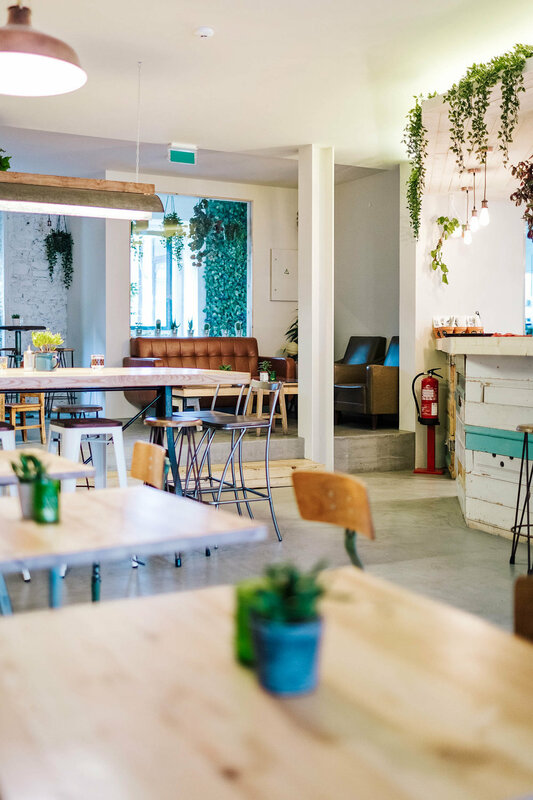 Spanish-inspired tapas at LX Factory. 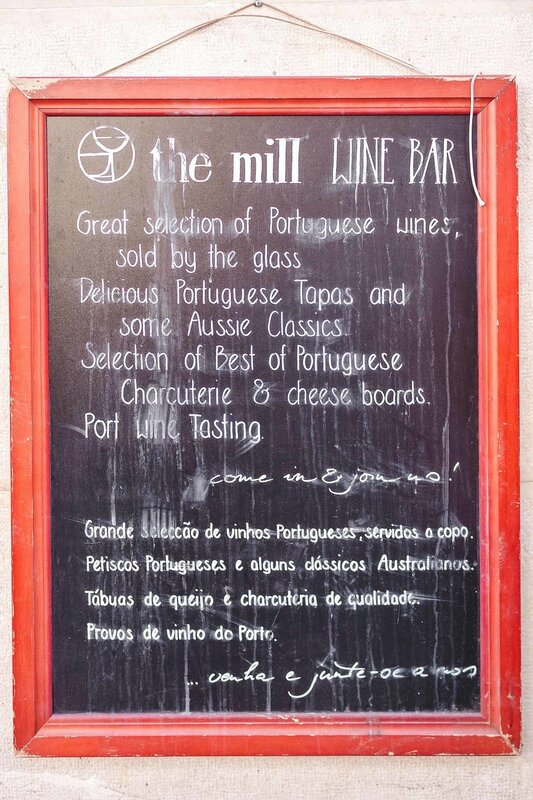 The Mill is a cafe and coffee shop that turns into a wine bar at night time. It was recommended to me as being the best breakfast spot in Lisbon by a friend who lived in the city for a bit. The coffee is good and they have a fairly big menu featuring pastries, granola, sandwiches, salads, soups, and wine. 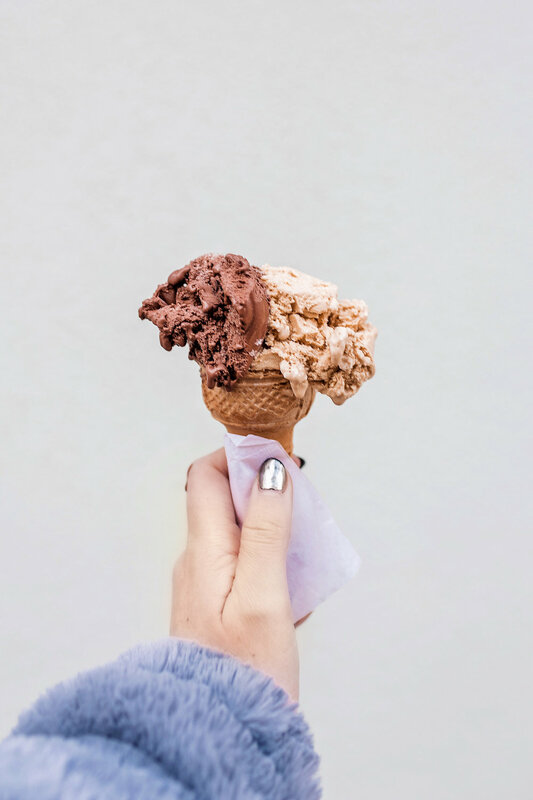 The best gelato in Lisbon! Made with premium, all natural ingredients free of preservatives.